Zara Anne Elizabeth Phillips was born as the second child of Anne, Princess Royal and Mark Phillips. She has an older brother, Peter. She is the first grand daughter of Queen Elizabeth and Prince Philip. She was born on May 15, 1981, in St. Mary's Hospital in London. She studied at the University of Exeter where she qualified as a physiotherapist. Zara, whose first name was suggested by her uncle the Prince of Wales, is an Olympian who got silver in Team Eventing in the 2012 London Olympic Games. 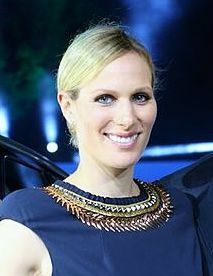 She married rugby player Mike Tindall on July 30, 2011. They have one daughter, Mia.